For more than 325 years, Husqvarna has been a pillar in outdoor power equipment. From chainsaws and zero turn mowers to trimmers and leaf blowers, our world-renowned commercial product line offers both superior design, variety and innovation. We value you as a professional and see ourselves as partners in your landscaping business, investing in you and doing our part to help you grow. 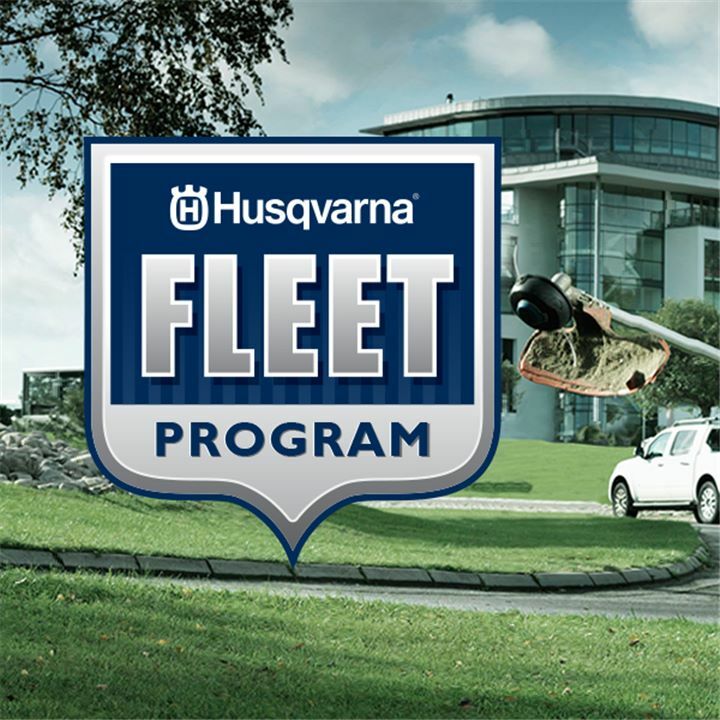 Plus, you get a volume discount on major purchases of new commercial equipment with Husqvarna's Fleet Program. Hopper Outdoor Power Equipment is located in Hardeeville, SC. We are your local authorized service center for Husqvarna parts and equipment. Looking for 0% financing? Call our friendly sales staff or you can complete an online loan application. We work with Husqvarna's Synchrony financial. Please let us know if you have any questions so you can start enjoying your new lawn mower or handheld products as soon as possible! Be sure to check out all of our equipment pages from chainsaws to commercial zero-turn mowers. We offer fast shipping on orders being shipped to the lower 48 states (this offer does not apply to oversized items or shipments weighing more the 25 pounds). Choose from same-day or next-business-day shipping. Check out our large selection of parts and accessories, outdoor power products, backpacks, chainsaws, commercial zero-turn mowers, and more. What if you could have the most powerful and versatile tool at your fingertips? What if you could always stay ahead of competition by working less hours and burning less gas? Husqvarna’s full lineup of commercial lawn equipment are designed to give you the advantage for your business. We're your one stop shop for all your lawn and garden equipment needs.